They are used in aerospace and military applications, for ballistic-rated body armor fabric and ballistic composites, in bicycle tires, and as an asbestos substitute. Aramid Packing is known as Kevlar Packing, DELTAONE offers complete range of aramid fiberpackings, according to your requestment, we manufacture aramid packing with lubricating and reinforced materails together. ALKEX Staple has high tenacity, high heat-resistant and flame-retardant properties, making it extremely useful for various industrial applications. 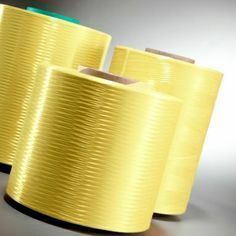 Aramid Fiber also known as Meta Aramid (for general application) and Para Aramid (Bullet proof jacket, defense application, etc) is available in various density and certifications. 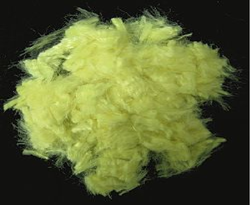 Aramid Chopped Fiber Rs 2,400/kgs. - Single Digit emissions available. Aramid fibers are a class of heat-resistant and strong synthetic fibers. They are fibers in which the chain molecules are highly oriented along the fiber axis, so the strength of the chemical bond can be exploited.